University of Maryland, College Park President Wallace Loh will remain with the university through 2020, and the University System of Maryland Board of Regents will review the system’s governance structure and operation, the system announced Wednesday. 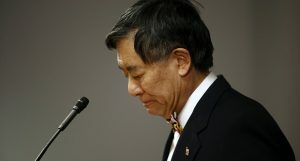 Loh had previously announced he would retire this June amid fallout from the from last year’s investigation into the death of University of Maryland football player Jordan McNair and the investigation into the football team’s culture. After the board asked Loh to reinstate DJ Durkin as football coach, Loh announced he would retire at the end of this year. He later fired Durkin anyway. The board’s actions created an uproar on the university campus and from donors and state lawmakers, who worried that the Board of Regents had overstepped its bounds. They also questioned the transparency with which the board made its decisions. Then-board Chair James Brady later resigned after the campus community made it clear they were unhappy with the board’s actions. That backlash included a university fundraiser saying Loh may have dealt a “fatal blow” to the university’s capital campaign. Loh’s decision to stay another year will give the Board of Regents more time to find a replacement to lead the state’s flagship public university. Gooden added that the search could take up to a year or more. She appointed Regent Gary Attman, a university alumnus, to chair the search committee. Loh’s continued service would also help with reforms to the school’s athletic department and university fundraising, Gooden said. State Sen. Jim Rosapepe, D-Anne Arundel and Prince George’s, whose district neighbors College Park, said he begged Loh to reconsider his retirement. The board has commissioned the Association of Governing Boards and Colleges to launch a review next month, with the expectation that it will be completed in March. It will be led by the association’s president, Rick Legon. Gooden said even if last fall’s events had not happened, it was time for the board to review its governance structure. William ‘Brit’ Kirwan, a former system chancellor and president of the University of Maryland, College Park. In a news release, the board said it has taken steps recently to operate more transparently and effectively. Those steps include meetings with legislators in Annapolis and Washington and with community leaders in College Park. At its annual retreat in November the board reviewed the role and operations of the system and created a new committee focused on enterprise risk management. Correction: A previous version of this story incorrectly identified Molly Broad’s qualifications. 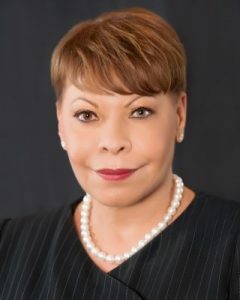 She is the former president of the American Council on Education.